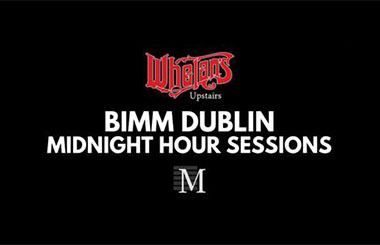 The Manuscript & O’Hara’s Craft Beers are proud to bring you The BIMM Dublin Midnight Hour. Showcasing the best new talent in Ireland & beyond. The Manuscript presents BIMM Dublin Midnight Hour, sponsored by O’Hara’s Irish Craft Beers this Thursday Feb 8th upstairs in Whelan’s. Comment “Midnight Hour” on the event wall to guarantee free entry. Strictly over 18′s, I.D. may be required. Upstairs in Whelan's, 25 Wexford St.